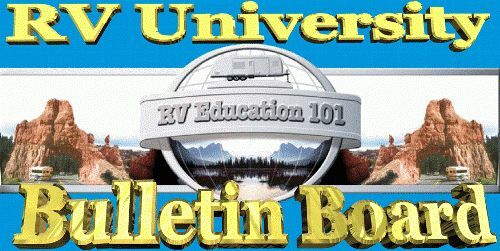 About two months ago my feature article was on RV safety. 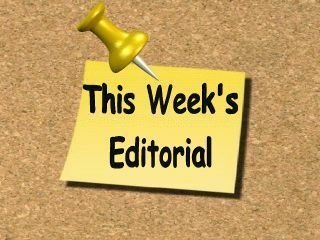 I had lots of emails with questions about RV safety related topics after writing that article. 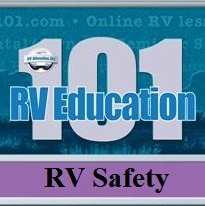 When our RV sits in storage we tend to forget things about it, including the safety stuff. 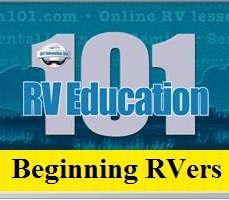 With warmer weather ahead RVers are out in full force, using and enjoying their RV's. 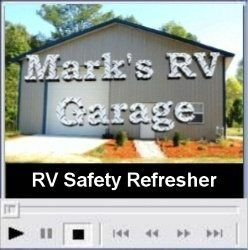 I thought it would be a good time to offer some of our RV safety related video clips to serve as a quick RV safety refresher course. 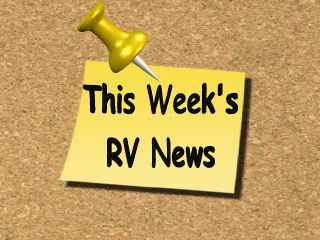 So, for some good RV safety information to make all of your camping experiences safe and enjoyable be sure and check out this week's feature article. 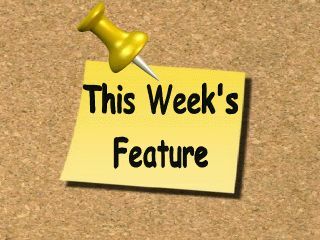 In less than two weeks we will be leaving on an RV trip to visit family in Pennsylvania. 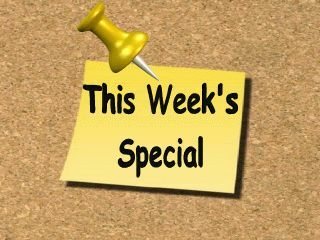 I am looking forward to a little break from work and some time in the RV. We will be bringing them back to celebrate the 4th of July with us in North Carolina. 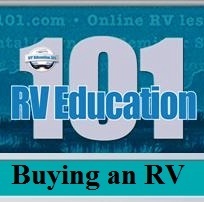 So, let the summer RV fun begin! 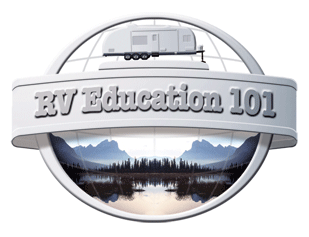 If you are interested in more in-depth information on RV safety our RV Safety Features, Tips & Tricks DVD will be on sale this week. Q. We just purchased a RV and we are trying to level it and have broke 2 leveling jacks so far. 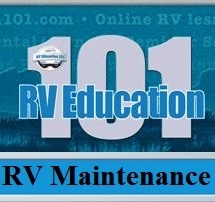 Do you have a video online that will show how to level the rv correctly? Thanks for any help you can give us. You didn't mention if it was a trailer, but based on what you said I am assuming it is. The stabilizer jacks are not designed or intended to lift the weight of the trailer. They only stabilize it so it doesn't move a lot when you are moving around inside. If it is a trailer the first step is to level it from side to side before you disconnect it from the tow vehicle. You can check this with a carpenter’s level if the trailer is not equipped with bubble levels. If the trailer is not level from side to side you need to place some type of leveling blocks, like 2X6's or Lynx Levelers, under the tires on the side that needs to be raised. Put the leveling blocks on the ground in front of the tires and pull the trailer forward until both tires are on the blocks. Re-check for level, it may be necessary to add or take away more blocks. When it is level from side to side you can chock the wheels and disconnect the trailer from the tow vehicle. To level the trailer from front-to-rear you simply use the tongue jack. To level a fifth wheel from front to rear, use the switch for the landing gear. When the trailer is level from front to rear and side-to-side the next step is to lower the stabilizer jacks. There are four stabilizer jacks, one on each corner of the trailer. It’s a good idea to place a Lynx Leveler under the foot of each jack so you get a good secure footing. Once the jack makes firm contact with the ground continue turning the handle about one full turn and then stop. Stabilizer jacks are designed to stabilize the trailer not to support the weight of the trailer. 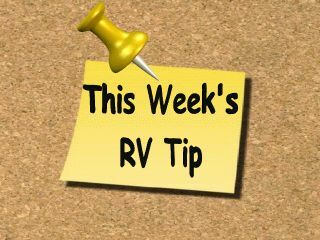 RV Tip # 1 You should take your RV to a qualified RV service center annually to have the LP gas system checked. 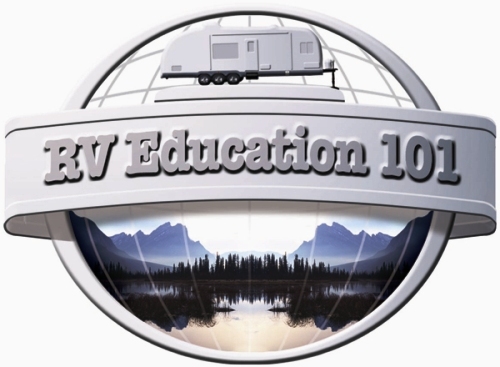 RV technicians have the equipment required to test the LP gas system for leaks and to test and adjust the LP gas operating pressure so the appliances will operate properly. 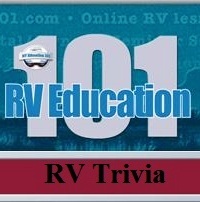 RV Tip #2 Never check for LP gas leaks using an open flame. If you don’t feel comfortable working around LP gas, have these checks performed by an authorized RV service center. 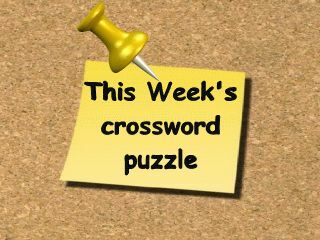 This play and learn crossword puzzle is "RV Generators"
Check out this week's poll: "3 polls about GPS"
This RV video tip is: "RV Safety Refresher "